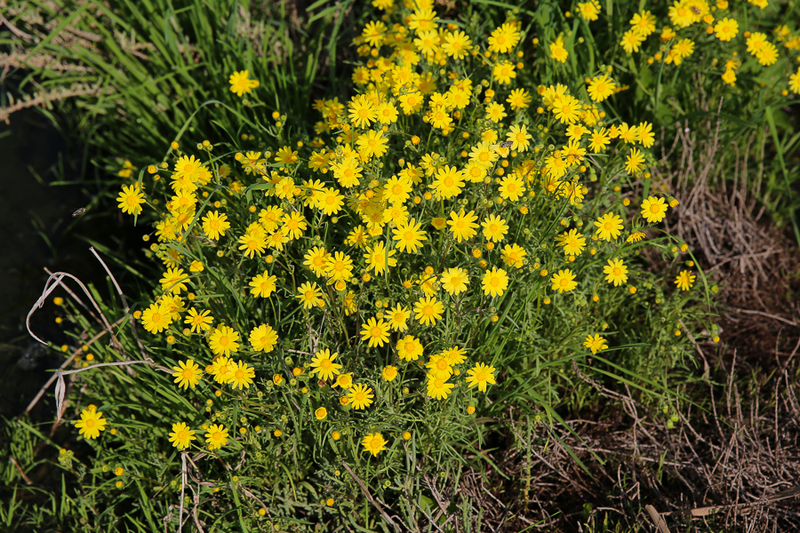 Whilst birdwatching at Sabkhat Al Fasl at the weekend I came across a couple of nice clumps of Senecio glaucus which is an annual plant that grows in the desert and is also known as Jaffa groundsel or Buck’s horn groundsel. 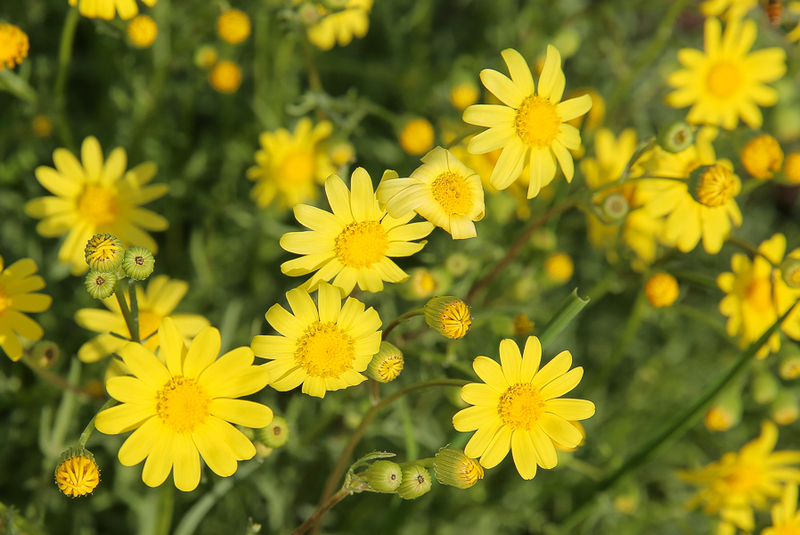 They are found in sandy soil of coastal plains and Gulf islands as well as steppes and are native to a large area of the Middle and Far East including Saudi Arabia. 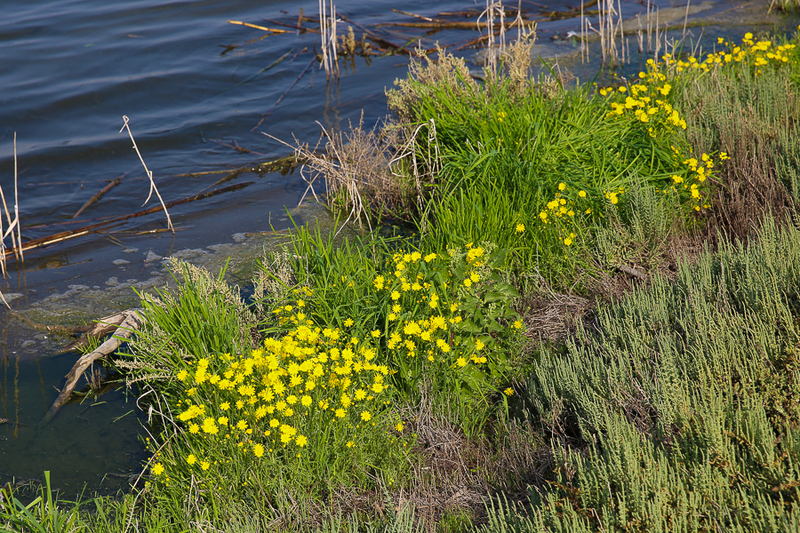 The plants were growing next to the main open water area on the extreme edge of where the water level was currently reaching. They made a very nice splash of colour in an otherwise drab surrounding and are a common and widespread plant in the Eastern Province of Saudi Arabia. Jem, beautiful pictures. You make the Sebkhat look attractive. When I was there on Thursday it the wildest scenery I have seen since arriving in KSA. The water level was very high and the wind was howling. It was cold too! Thursday was a bit bleak, still warm but windy. The weather here is cold now so maybe you arrived a day too early for birds being pushed down by the cold weather? Hope you saw something good on your travels though.